Become a Reliance customer or learn more about our products and services. What Sets our Service Apart from the Competition? A new branding study (http://www.lpgasmagazine.com/one-particular-quality-sets-propane-apart-from-the-competition) by the Propane Education & Research Council (http://www.propanecouncil.org) (PERC) suggests propane stands apart from its energy competitors by building an emotional connection with customers. According to the study, these are small businesses. At Reliance, we couldn’t agree more. We believe our customers rely on propane services because they associate propane with a local, hardworking business they can count and grow with for life. We trace our humble beginnings back to 1932 when Harold C. Miller founded our company. We’ve never lost focus on service, value, and trust. 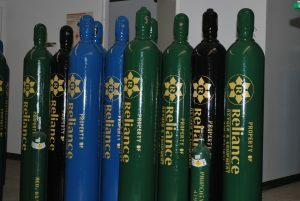 Though our customer base has grown, Reliance is still that local, hometown company our customers trust for safe, reliable, clean and low cost propane. Whether our customers are grilling outside in the summer or heating their homes during the winter, they know they can count on us to increase their family’s comfort, reduce energy costs, and power their homes and businesses safely. 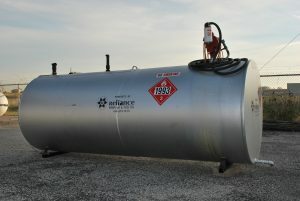 We think outside the tank and do things for our customers that larger, national propane companies won’t even think to do. Our delivery drivers know our customers by first name, and vice versa. We view each customer of an extension of our own family. 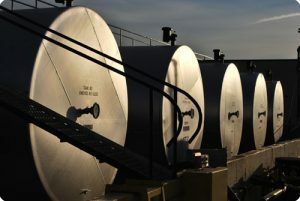 With us on your team you’ll never have to worry about running out of Oil or Propane again. Because no matter the conditions, we guarantee that your needs are met and you’re getting the best value for the best price. We’re the hometown dealer you can always count on! Reliance Makes Heating Your Home or Business Affordable. We understand customers have a choice when it comes to their utilities, that is why we continually do our best to ensure our products are the most affordable solution to power you home. When it comes to payment, we’ve also made it as convenient as possible to pay your propane bill online. Sometimes being different is a good thing! From 1932 Harold C. Miller created Reliance Gas in Toledo, Ohio which still stands over 85 years later, his goal was to always stand apart from the competition by providing outstanding service since 1932. Now 85 years later, we are proud to say we’re still committed to his vision! So, what really makes Reliance different than all the other companies out there? SERVICE. All too often, as businesses grow they tend to lose sight of what is truly important-really understanding the needs of the customers being serviced. Since the very beginning, we’ve held true to the idea that our customers are more than just a name on an invoice, they are our greatest resource. If it weren’t for your continued loyalty, Reliance never would have grown to the size we are today. Our goal is that our customers view our employees, from the delivery driver to our office staff as trusted friends. 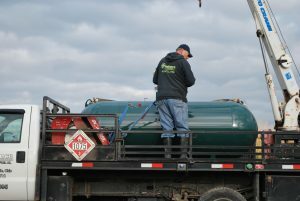 Having provided propane & oil to homes, businesses and industrial clients for decades, we have a true understanding of our obligations to you. We’ve gone to great lengths to ensure you will never run out by offering ongoing convenient deliveries, always noting on your receipt how much propane & oil you have in your tank when we leave. 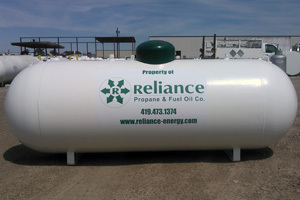 If you ever need to contact us 24/7, call us at 419.473.1374 or email us at sales@reliance-energy.com. We understand customers have a choice when it comes to their utilities, that is why we continually do our best to ensure our propane & oil is the most affordable solution to heat your home. When it comes to payment, we’ve also made it as convenient as possible to pay your propane bill online. Contact us at 419-473-1374 and discover for yourself the Reliance difference.